Last week sure did muddy the waters with upsets across the entire slate, but one thing remains crystal clear: Alabama looks unstoppable. I have a theory on how to attack Alabama, but we’ll save that for another time. By my count, we had seven upsets and two almost upsets last week with a few of those having major playoff implications. This week isn't shaping up to be nearly as exciting with only Oklahoma and Clemson finding themselves in dangerous matchups. The Sooners need to remain perfect and settle matters in the Conference Championship game. Clemson has an easier road with all their difficult games being played at home with this week against NC State possibly their toughest challenge. Now let's get to the picks. The past few weeks have been heartbreaking as a Nittany Lions fan, but that’s why we don't mix business with pleasure and I present to you Trace McSorley as your top business decision of the day. Some people will surely play Kyler Murray in this price range, and I get it, but I prefer to pair McSorley with Sanders for cash games. Penn State has a slightly higher implied total compared to Oklahoma and the savings will pay dividends further down your roster. Indiana is better than their record and will be waiting for a down Penn State squad who has lost their last two contests. That said, Indiana doesn't have the defense to keep McSorley & Co. off the scoreboard so it should be business as usual for the offense. Against mediocre competition, such as Indiana, Penn State’s offense has absolutely poured it on opposing defenses averaging over 55 points per game. The total of 61 feels low to me and I think the Nittany Lions get back on track offensively. McSorley is the focal point of the offense and I can see this game turning into a mild shootout with Penn State pulling away late. In Trace we trust. There are a few guys at this price point we can choose from, such as Peyton Ramsey or Jake Browning, but I like the matchup for Patterson over the others. Michigan does two things extremely well; run the ball and stop the run. Michigan State does one thing extremely well; stop the run. With this game being played in East Lansing the front seven for the Spartans may have a little extra juice in their step and finding running room could prove difficult. Higdon performed well last week against Wisconsin so I don't see him being completely shut down, but I do see Michigan needing its passing game to win this one. As good as the Spartan’s are at stopping the run, they leave much to be desired defending the pass. Patterson has three games with three touchdowns and three games with zero touchdowns so I wouldn't go crazy using him in your cash lineups, but he makes for a solid tournament play. Sanders is very quietly having a heck of a season. Through six games he has 700 yards on 104 attempts to go along with 7 touchdowns. The offense clearly goes through McSorley, but Sanders can certainly hold his own in terms of offensive production. Like Henderson below, Sanders has seen a slight drop in salary, but in this case, a clearly easier matchup against Indiana compared to Michigan State. With Penn State being favored by 14 and a total of 61 this is an ideal game script for a running back. I really like pairing Sanders with McSorley for cash games in attempt capture most of Penn State’s scoring. The running back group gets fairly bleak beyond these two guys and Sanders will find himself in most of my lineups. He’s easily the top running back play and offers both safety and upside. We all remember and loved Tecmo Bowl. And we all have fond memories of using Bo Jackson to run circles around the defense. Let me introduce you to Darrell Henderson, the Bo Jackson of Saturday’s slate. I understand that was part of last week’s write-up Darrel ‘Bo Jackson’ Henderson, but it's all still true. In a losing effort last week Henderson toted the rock a season-high 31 times for 199 yards and a score, almost pedestrian for his standards. The price has dropped, but I'm not sure the matchup is any tougher, other than now being on the road. Memphis opened as 7.5 dogs and it's now up to 9.5, which is typically not the scenario we like to roster a running back. That said, with a total of 74 there is still plenty of expected offense from the Memphis side of the ball. And what I mean by that is Darrell Henderson breaking off chunk runs and finding pay dirt. It's just what he does. The receivers are kind of all over the place this week and I suspect the ownership will be all over the place as well. Reagor has a fantastic game script facing the Oklahoma Sooners who have been basically been getting shredded through the air this season. The Sooners offense takes much of the limelight, but while Kyler Murray is stealing headlines their defense has been giving up yards in droves. Reagor, and to a lesser extent KaVontae Turpin, dominate the targets for Texas Christian and if they are going to keep up with the Sooners both guys should be busy much of the day. Reagor and Turpin combine for just over 50% of the team total in receptions, which is just the type of volume we like. College teams seemingly have rosters that never end so for two players to consume that large of a target share is something we shouldn't ignore. The Frogs are seven-point dogs with a total of 62 which has crept up from 61. Take the middling salary and heavy volume in what should be a very favorable game script. Aaron Fuller doesn’t quite deliver the same volume as Reagor, but what he lacks in targets he makes up for in efficiency. Fuller leads the team in receptions and yards with 37 grabs for 589 yards to go along with two scores. We would certainly like to see him find paydirt more often, but predicting touchdowns is a fool’s errand. Last game notwithstanding, Fuller has been fairly consistent registering either 100 receiving yards or a score in five of his first six games. He was in a good spot last week against Oregon, but rolled snake eyes and finished with just two catches 15 yards. I like Colorado as a team and think they’re a little better than most think, but as the 15 point line indicates, they are overmatched here. Look for Fuller to bounce back with a strong game. Want to see the rest of this article with Casey's Six Saturday College Football bets? 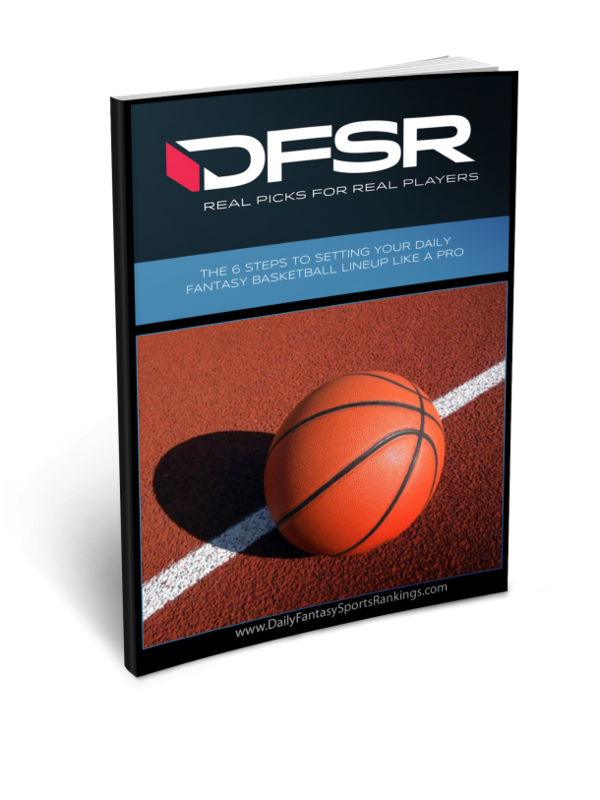 Go grab a free three day trial of DFSR Pro or DFSR Basic! 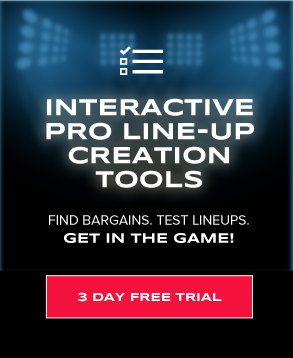 Your subscription will include access to premium content, our lineup optimizer, our members only chatroom, and more! Teams have a love/hate relationship with playing on the road at Hawaii. On one hand it's beautiful Hawaii. On the other hand, the travel time can be daunting and distractions galore for the players. This is the last game on the slate with a midnight EST kickoff, but what else are you going to be doing? Sleeping? Nevada can be a dangerous team offensively, but I don’t think they have the defense to keep up with Cole McDonald and the high flying passing game. Hawaii gains chunk yards and operates at a NASCAR pace. If Nevada doesn’t show up ready to play at the opening kickoff it will be 21-0 in a hurry, just ask Navy. Hawaii playing at home giving up just three, I'll take it. I'm also happy to hedge a bit with the over as there should be plenty of scoring in both directions.